Al-Qaida is not on the run, and after being hunted for two decades it is not on the path to defeat. That's the sobering message from two top intelligence leaders, National Intelligence Director James Clapper and Defense Intelligence Agency Director Michael Flynn during a Senate Armed Services committee hearing Tuesday. Sen. James Inhofe, R-Okla., hearkened back to past comments from the Obama administration about the impending defeat, or at least decline, of the terrorist network. "People keep talking about [how] al-Qaida is on the run, on the path to defeat.... To me it's just the opposite of that," the committee's ranking member said. "Is al-Qaida on the run, and on the path to defeat?" "No," Clapper replied. "It is morphing and franchising itself, not only here but in other areas of the world." "They are not," Flynn confirmed. President Obama has indeed said that core al-Qaida leadership is on the run—and touted how the U.S., under his leadership, conducted an operation that killed Osama bin Laden in May 2011. Obama has also acknowledged the threat grows more complicated as al-Qaida franchises take hold in Yemen, Somalia, Iraq, and other hot spots. "While we have put al-Qaida's core leadership on a path to defeat, the threat has evolved, as al-Qaida affiliates and other extremists take root in different parts of the world," Obama said in his State of the Union address. 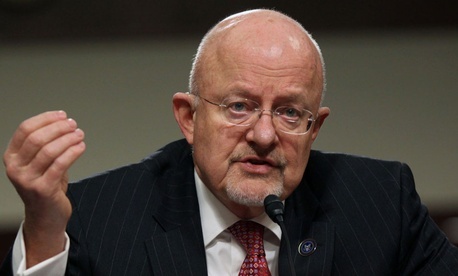 In a recent hearing on global threats, Clapper told the Senate Intelligence Committee that America's ability to understand the terrorist threat has improved over the last decade, but that the network's dispersion makes extremists harder to detect. "I can't say that the threat is any less," Clapper told the Senate Intelligence Committee in late January.